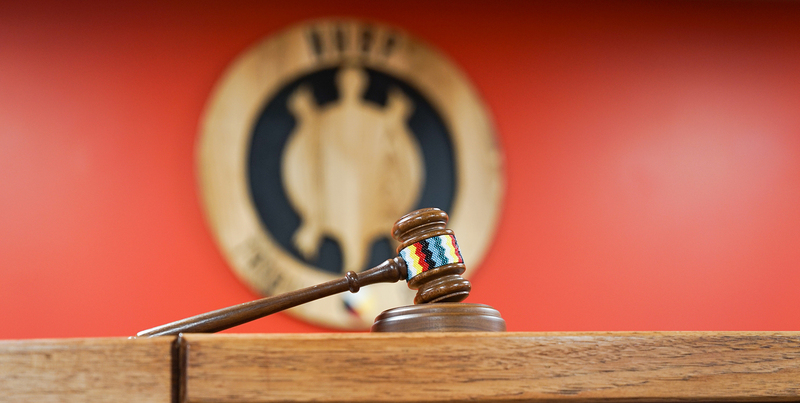 For matters involving the NHBP Tribal Court please contact us Monday-Friday 8:30 a.m. – 5 p.m. Please note that the NHBP Tribal Court is closed on most holidays. The mission of the Nottawaseppi Huron Band of the Potawatomi Tribal Court is to fully implement the delegation of Constitutional judicial authority from the people of the Tribe consistent with self-determination, the sovereign powers of the Nation, traditional values, fairness and justice. • To develop a judicial system which meets the judicial needs of both the Tribal community and its government. • To provide a forum for the resolution of all disputes under Tribal law arising in law and equity. • To provide due process and equal protection to all persons. • To promote Tribal self-government, community development and the human potential of all persons. • To develop judicial institutions and judicial tools which reflect the Band’s culture, traditions and values. Every attorney who proposes to practice before the Courts of the Tribe must be duly admitted. Any attorney, who is admitted to practice in any state and who is in good standing, is eligible for admission. Each applicant for admission must complete an Application for Admission, Oath of Admission, and pay the Admission to Practice Fee.